Asustor’s new desktop NAS line consists of the 2-bay AS4002T and the 4-bay AS4004T. Targeting consumers, these new NASes debut two firsts from Asustor; integrated 10 GbE in a consumer NAS and first in-market to use Marvell’s Armada Cortex-A72 64-bit dual-core processor. Additional hardware specs include 2 GB DDR4-2400 RAM, two GbE ports, and USB 3.1 ports. All three Ethernet ports can be aggregated to provide 3 Gbps total bandwidth for those who don't have 10 Gbps devices. Designed to be tool-less, the AS4002T and AS4004T are hot-swappable NAS, using caddies to facilitate drive swaps when needed. The chassis’ internal honeycomb structure adds an additional layer of security by protecting data from physical impact. Handling disk drives up to 12 TB in capacity, both NAS support JBOD, single drives, and RAID levels 0 and 1, while the 4-bay AS4004T adds RAID 5, 6 and 10 to it list of redundant drive configurations. Open Mesh's OM5P-AC is not the way to go for an inexpensive AC1200 access point. The WPA3 Certification announced yesterday revealed that only one of the four mechanisms described when WPA3 was first announced earlier this year is included in the Certification. The mandatory Simultaneous Authentication of Equals (SAE) method replaces WPA2's four-way session key generating "handshake" that was vulnerable to the KRACK attack and offers protection against dictionary attacks in general. Since it occurs only during the AP-STA authentication process, SAE doesn't significantly increase processor load. Qualcomm and Chinese "digital solutions provider" New H3C today announced H3C's WA6628 draft 802.11ac enterprise grade access point. The WA6628 is based on Qualcomm Technologies’ IPQ8078 802.11ax chipset, which has a 5 GHz radio that supports 8 streams @ 80 MHz bandwidth or four streams with 80+80 MHz bandwidth. The 4x4 2.4 GHz radio supports up to 40 MHz bandwidth. Maximum supported link rates are 5950 Mbps in 5 GHz and 1150 Mbps in 2.4 GHz. Also in the IPQ8078 are a 64 bit quad core ARM Cortex A53 CPU running @ 2.2 Ghz, 5 port gigabit Ethernet switch, two 1/2.5/5/10 gigabit Ethernet ports and two USB 3.0 ports. The new SMB/SOHO PoE switches, available in 8- and 16-port models, have upgradeable power budget options thanks to interchangeable power supplies. Paired along with a built-in power selector, the interchangeable power supply option gives businesses the opportunity to grow their PoE-powered networks without having to buy new switches. The Wi-Fi Alliance yesterday formally introduced Wi-Fi CERTIFIED WPA3 wireless security, the intended replacement for the less-secure WPA2, which is supported on virtually all of today's Wi-Fi devices. Like WPA2, WPA3 is not an IEEE standard, but a specification and certification program created by the Wi-Fi Alliance. Also like its predecessor, WPA3 comes in Personal and Enterprise flavors, the latter optionally supporting 192 bit encryption. 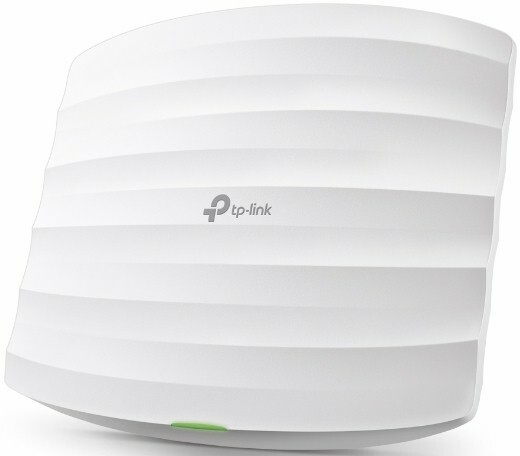 TP-Link’s Deco M9 Plus is a tri-band two-stream AC2200 Wi-Fi system. The new Deco is powered by a quad-core processor, 4 GB eMMC flash and 512 MB RAM and is designed to handle up to 4500 sq. ft. of space with maximum link rates of 400 Mbps at 2.4 GHz and 867 Mbps at 5 GHz (x 2). The second 5 GHz radio is reserved for node-to-node wireless connection (backhaul). There are also two Ethernet ports and a USB 2.0 port that is not available for customer use. The system has a built-in smart home hub, managed through the Deco App (Android and iOS). The hub is said to be able to manage smart home/IoT devices via Wi-Fi, Bluetooth 4.2 and Zigbee 1.2. Amazon Alexa and IFTTT automation is also supported. The tri-band TEW-829DRU, TRENDnet’s first business class router, is an AC3000 wireless router with dual WAN Ethernet ports providing load balancing and failover modes. Designed for SMBs, the router supports three concurrent wireless bands, two 5 GHz and one 2.4 GHz, running maximum link rates of 1733 Mbps, 867 Mbps and 400 Mbps, respectively. "Business" features include wireless client isolation, QoS for VoIP and media streaming, SSL, IPsec, PPTP, L2TP w/IPsec VPN support and IEEE 802.1Q inter-VLAN routing. TRENDnet also adds web content filtering to the TEW-829DRU via Router Limits, enforcing managed screen time, content filtering, browsing history tracking, internet access pausing, safe searching, and restricting screen time. Other TEW-829DRU features include online firmware updates and pre-encrypted Wi-Fi. Plume is moving to a subscription based system for their products in order to maintain the features which they refer to as "Active Management", though they fail to detail what that entails, and if the subscription is not paid, they claim that the products will continue to function but with reduced functionality (though no mention as to what extent). The article also mentions that existing Plume Pod owners will be grandfathered in, but it does not detail to what extent in relation to the cloud reliant features. The service plan is $60 per year or $200 for a lifetime plan. While the company is very vague on what is offered and what is taken away when you don't pay up, in drawing inferences from their claims of grandfathering in older Plume Pods, we can assume that non-grandfathered plume pod devices will end up with far less functionality if the user does not pay the subscription fees. Buffalo’s new Windows Storage Server 2016 TeraStations are designed to integrate into existing Windows environments. QNAP updated its TS-x32XU line of SMB-level rack-mounted NASes. Available in 4-bay, 8-bay or 12-bay models, with single or redundant power supplies, these refreshed NASes are powered by a new 64-bit Alpine AL-324 ARMv8 Cortex-A57 quad-core 1.7 GHz processor by Annapurna Labs, and DDR4 memory. TS-x32XU series models run QNAP’s QTS operating system, which hosts a variety of useful apps downloadable from QNAP or the QTS App Center. Aside from a PCIe 2.0 x2 slot expansion slot that can be used to add M.2 SSD storage, additional 10 GbE networking or additional USB ports, the TS-x32XU also includes two 10GbE SFP+ network ports, two Gigabit network ports, and four USB 3.1 Type A ports. Each TS-x32XU also supports snapshots, tiered storage, and RAID 50/60. The Wi-Fi Alliance on Tuesday announced Wi-Fi CERTIFIED Enhanced Open, a certification program that provides improved security in open Wi-Fi networks. Wi-Fi Enhanced Open provides protection where user authentication is not desired or distribution of credentials is impractical, such as in coffee shops, airports, hotels and sports arenas. Wi-Fi Enhanced Open provides protections against passive eavesdropping without requiring a password or extra steps to join the network. Based on the Opportunistic Wireless Encryption (OWE) standard (RFC 8110), Wi-Fi Enhanced Open provides each user with unique individual encryption that protects data exchange between a user device and the Wi-Fi network. The TS-x63XU series, available in hot-swappable 4, 8, and 12-bay designs with single or redundant power supply options, are rackmount enterprise NAS devices powered by AMD’s G-Series GX-420MC quad-core 2.0 GHz processor and dual channel 4GB DDR3LSO-DIMM RAM (upgradable to 16GB). Aside from already having four GbE interfaces, each TS-x63XU model also includes a single 10 GbE NIC to help accelerate business-related operations such as virtualization and hi-res video production. The TS-x63XU series supports storage features such SSD caching, tiered storage allocation, and block-based snapshots, and works with VMware, Citrix, MS Hyper-V virtualization solutions that use Windows, Linux, Unix, Android VMs, as well as Docker and LXC containers. Bullguard’s Dojo Intelligent IoT Vulnerability Scanner (DIS) is an app (Android and iOS) that runs security risk assessments and scores home environments that have smart home products like cameras, lights, smart locks, as well as computers and similar items. In order for DIS to give the final network security score, the apps runs a discovery process, with the help of local and cloud-based detection engines, and identifies every connected device on the network, providing the consumer with a full list of connected items. Then, using the cloud-based Bullguard Dojo security risk assessment service, DIS presents the vulnerabilities found, as well as an overall score, where “10” is best. D-Link’s COVR-C1203 is a three-piece AC1200 dual-band Wi-Fi system just added to the company’s COVR line-up of products. The MU-MIMO Wi-Fi system uses 2x3 antennas that gives up to 5000 sq. ft of coverage, per D-Link, while providing multi-user support needed to handle multiple concurrent connections. 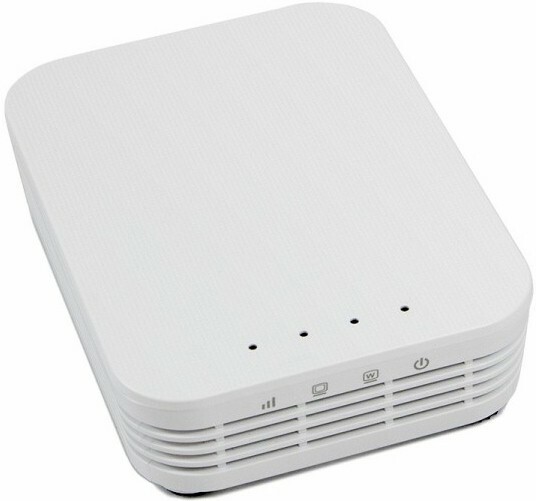 Like its tri-band and powerline siblings, the COVR-C1203 provides mesh networking services including seamless roaming and smart steering, as well parental controls, app-based installation and management, and compatibility with other routers and gateways. Also, unlike its siblings, COVR-C1203 uses a lower profile design, an aesthetically pleasing build that also includes swappable color plates used to customize each unit to one’s personal taste. D-Link’s 3-pack COVR-C1203 Wi-Fi system is available now and costs $249. A USB 2.5/5 GBps Ethernet adapter. Pricing will be the important thing here, but if I remember correctly, that manufacturer was the one who opened the door to inexpensive PCI-Express 5 Gbps adapters a year or two ago. TP-Link just announced its Archer A7 AC1750 Wireless Dual Band Gigabit Router. 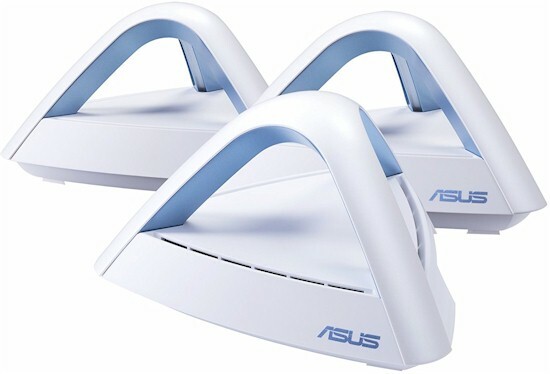 The main thrust of the router is lower cost, given its $80 price tag. Otherwise, it's a pretty standard Qualcomm-based 3x3 AC1750 class router with a USB 2.0 port supporting storage sharing. It's up for order now on Amazon.